The American pop singer Josh Groban that’s been in the music industry for almost two decades now, is ready to unveil a new album and one of his most ambitious projects this fall. The album is titled Bridges and will surface online on September 21. His latest release, ballad "Granted' will also be included on the project. You can pre-order the album via Apple Music. 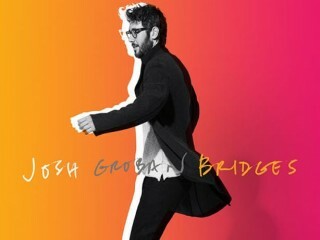 Bridges will be Josh’s 8th album, and it’s his very first one since 2013. He recently shared on social media his thoughts on this new project: "With Bridges I wanted to create an album that took me back to the spirit of how I made my first ones but with a modern approach and with so many more years of stories to tell," he explained. "I felt so good and so inspired making this album, more than ever before, with friends old and new taking part. It both 'bridges' my musical worlds old and new, and also hopefully plays a small part in connecting people in that unique way music can." More details are soon to be revealed, stay tuned!